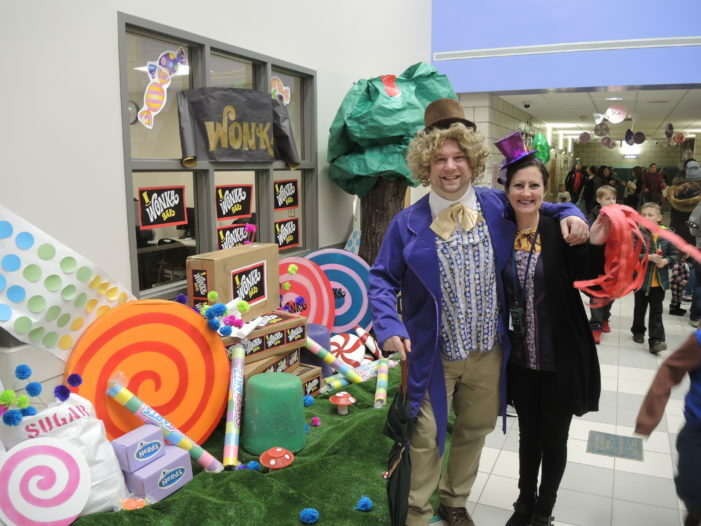 Willy Wonka, AKA Principal Nate Fuller, Michelle Redington, and the rest of the school staff led the students in lots of winter fun. The winter ice and snow let up enough for Independence Elementary students and their families to celebrate their Winter Festival, Feb. 8. With a Willy Wonka and the Chocolate Factory theme, they enjoyed games, snacks, and activities throughout the school hallways. 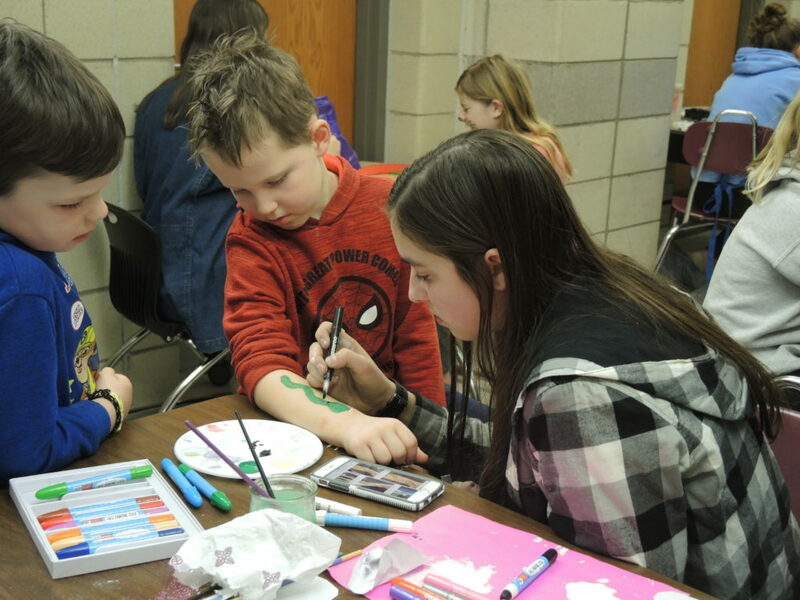 Kelsey Roth paints a snake on Zachary Arn’s arm at Clarkston Family Farm’s face- and arm-painting area, as his brother Max watches.